Taryn was the most special boy who was always the strong one for the family. 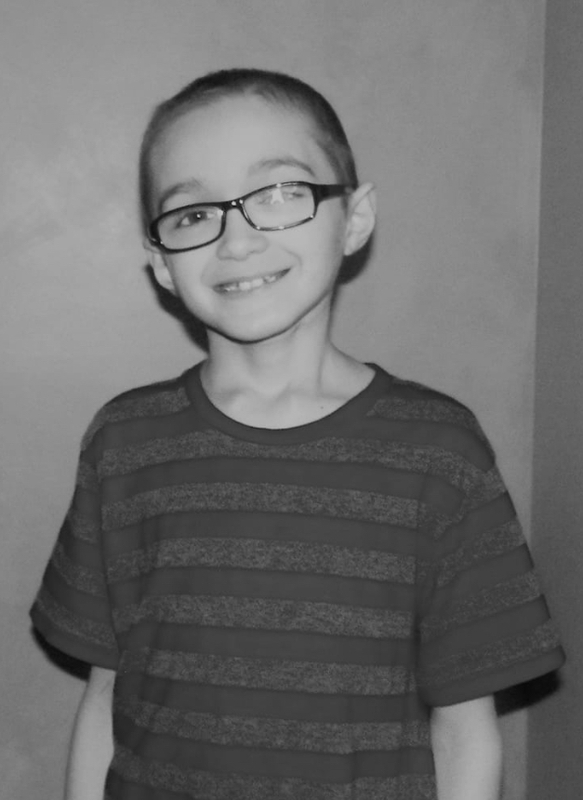 He would tell everyone not to cry; that everything will be ok. After a 6 year, one month, and two day battle with cancer, Taryn Dale Chapman Jorvig, 9, passed away on March 30, 2019 at his home surrounded by his family. Taryn was born in Marietta, OH on June 11, 2009 to his father Chris Jorvig and his mother Sherri Lawell. Taryn attended Waterford Elementary School from Kindergarten to second grade and Galion Intermediate School in his third-grade year. Loving the outdoors, Taryn was the happiest swimming, playing baseball, and riding his bike. He also loved music, making videos, dancing, and just being a goofball. When he was little, his small world revolved around Spiderman and his Dad. When he was unable to be outside, you could find him playing Fortnite and Minecraft. Taryn was a very special child who will be greatly missed by everyone who knew him. In addition to his parents, Chris and Brooke Jorvig, Taryn is survived by his sister, Ericha Lawell of Marietta; his brothers, Fisher, Kellyn, Jakobe, and Osiris Jorvig, all of Galion; his paternal grandparents, David and Ute Bodkins of Galion, Larry and Gabi Jorvig of Goldsboro, NC; his maternal grandparents, Karen Gorrell of Waterford, Michael Eaton and Ginger Perez, both of St. Marys; great-grandparents, Bernice Jorvig of Clear Lake, SD, Klaus and Sigrid Hirschberg of Germany, Janie and Dan Eaton of Flushing, MI, and Pam and Larry Hopkins of Marietta; aunts and uncles, Kasey and Trace, Cindy and Tim, Raquel, David, Michelle and Andrew, Eileen and Chris, Dawn, Tiffany, Scooter, Carmen, Michael, and Lea from Germany; numerous cousins and extended family; and his puppy, Frankie. Taryn was preceded in death by his grandmother, Sheral Lawell, grandfather, Herbert "Butch" Lawell and his great-grandmother, Sherry Bodkins. Memorial contributions may be made to family in care of the funeral home. The Schneider-Gompf Funeral Home, 303 Portland Way N., Galion is honored to serve the family of Taryn Dale Chapman Jorvig.